Among all the Indian Wars fought between the United States and the hundreds of American Indian tribes during the eighteenth and nineteenth centuries, few were as important as the Second Seminole War. From 1835 to 1842 the Seminole Indians of Florida engaged the United States government in a war that was largely characterized by asymmetrical warfare, resulting in the loss of over 1,000 American lives and 3,000 Seminoles. The war was also very expensive, costing the government $40 million in what really be America’s first “Vietnam” – it was a war that the Americans did not lose nor win. Besides the significant cost and loss of life, the Second Seminole War resulted in a number of changes in Florida and beyond. The United States removed most of the Seminoles from Florida to Oklahoma, but allowed a number to stay in Florida, creating the largest Indian reservation east of the Mississippi River. The end of the war also cleared the way for Florida to become a state in 1845 and helped bolster the career of future President Zachary Taylor. 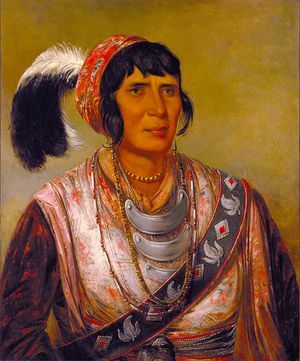 For the Seminoles, the war changed the complexion of their leadership, as many of their older leaders, such as Osceola, died fighting the army. 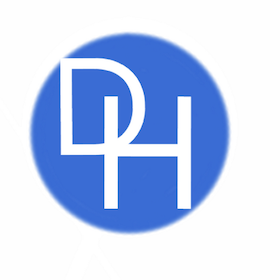 For their part, the Seminoles were always the most independent and recalcitrant of the Five Civilized Tribes. Just after the War of 1812, some of the Seminoles in northern Florida territory engaged the American military, led by future President Jackson, in low intensity conflict that became known as the First Seminole War (1816-1818). The American-Seminole conflict was thought to have been settled after a number of treaties were signed, but the Americans made several mistakes that led to more warfare. Overall, the war was like nothing seen before in America. There were few major battles and instead the Seminoles favored hit and run and guerilla tactics against their militarily superior enemy. The Army hunted the Seminoles with bloodhounds in malarial swamps and often resorted to using tactics that many people did not consider ethical, even by the standards of the period, a few of which later played a role in some of the results and after effects of the war. 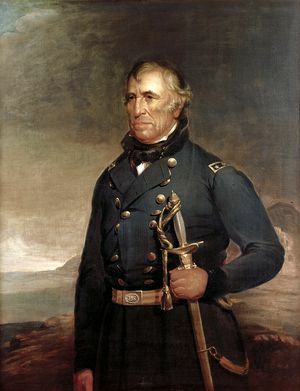 Fresh off his campaign in the Black Hawk War, Zachary Taylor was promoted to Brigadier General and given command of Florida. Taylor immediately set to work rectifying what he believed were mistakes made by Jessup by dividing the territory north of the Withlacoochee River in northwestern Florida into twenty miles square sectors and placed twenty men garrisons in each. He also organized incursions deeper into the Everglades using bloodhounds to track Seminole warriors. 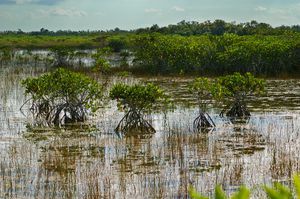 The results of Taylor’s tactics were negligible at best and even he began to see that leaving the Seminoles in the swampy Everglades was probably the best course of action. The Second Seminole War is an often overlooked and little covered period in American history, but it proved pivotal in a number of ways. It was the first true guerilla war that the United States Army was involved in and would be until later battles with the Indians tribes of the west. 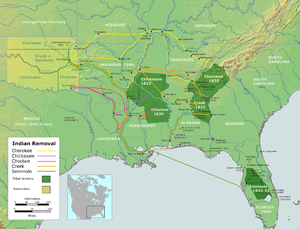 The war also resulted in changes by the government in its Indian removal policy toward the Seminoles. Due to the fighting and the difficulty of eliminating all resistance, the government eventually acquiesced, allowing some of the Seminoles to remain in Florida, which resulted in the largest Indian reservation land east of the Mississippi. Finally, the Second Seminole War impacted the leadership of both the Americans and Seminoles. The Seminoles saw one of their greatest leaders, Osceola, die, but live on in place names throughout modern Florida, while Zachary Taylor used the war as another notch in his career belt on his way to the White House.